Kurt Vile keeps late hours, writing and recording by himself til the early hours of the morning. The idea for the design came from not only from the vibe of his album, b’lieve I’m Going Down (which he describes as “sort of dark” and “late night”, as well as “more of a loner record”) but the process behind it. 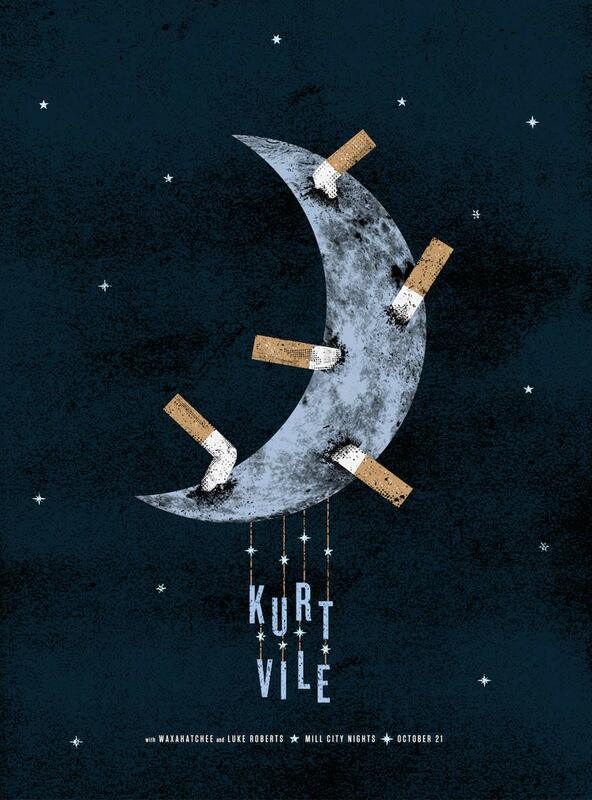 The cigarette butts are a nod to the late nights working through songs, as well as one of Kurt’s press photos used to promote the album.